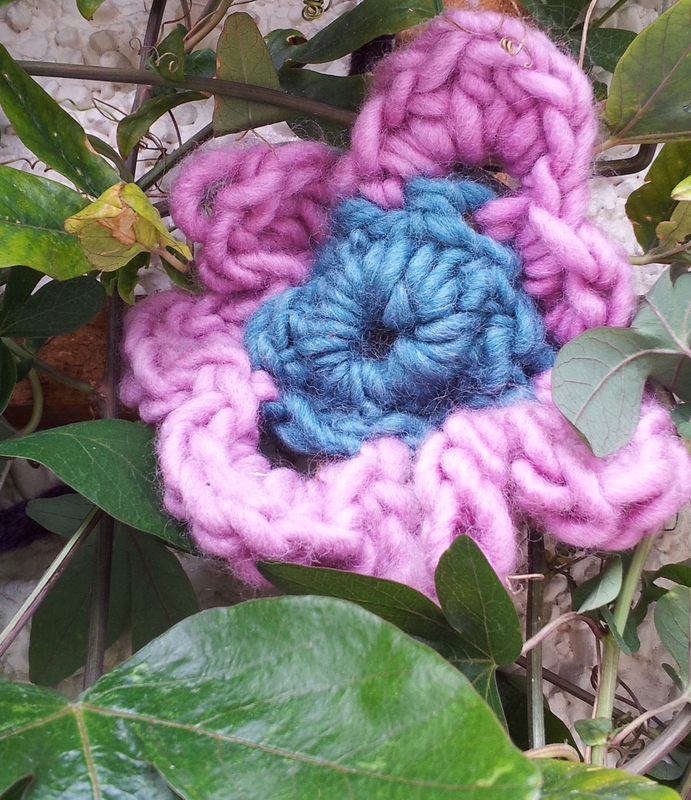 10 reasons to LOVE knitting and crochet! 1. 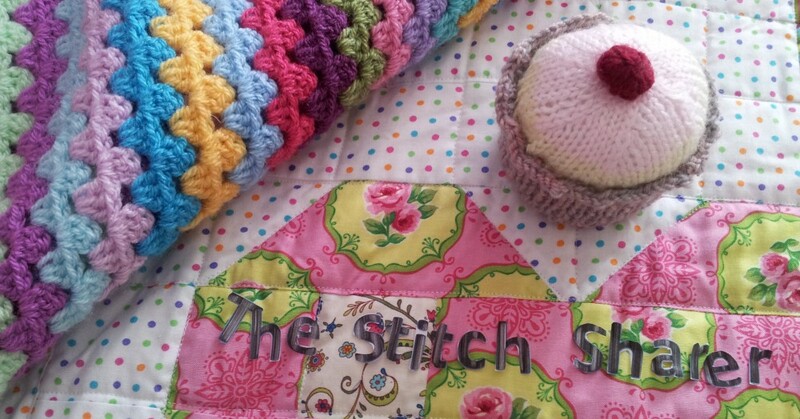 Knitting and crochet are low cost hobbies – all you need to get started is your yarn, hook or needles. 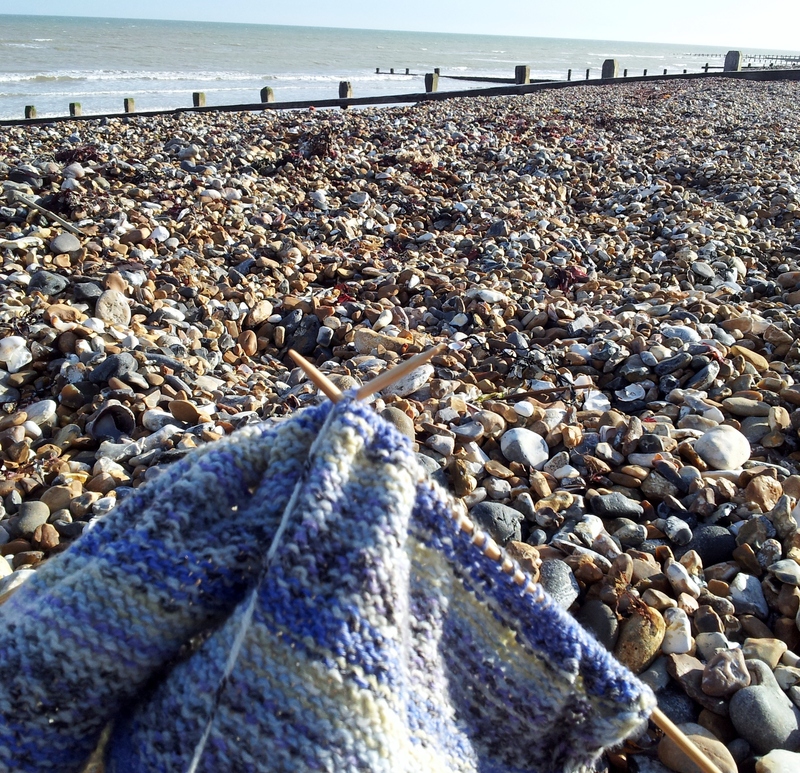 After hearing about a charity tea cosy knit for Macmillan’s, I have found my knitting needles back in my hands. 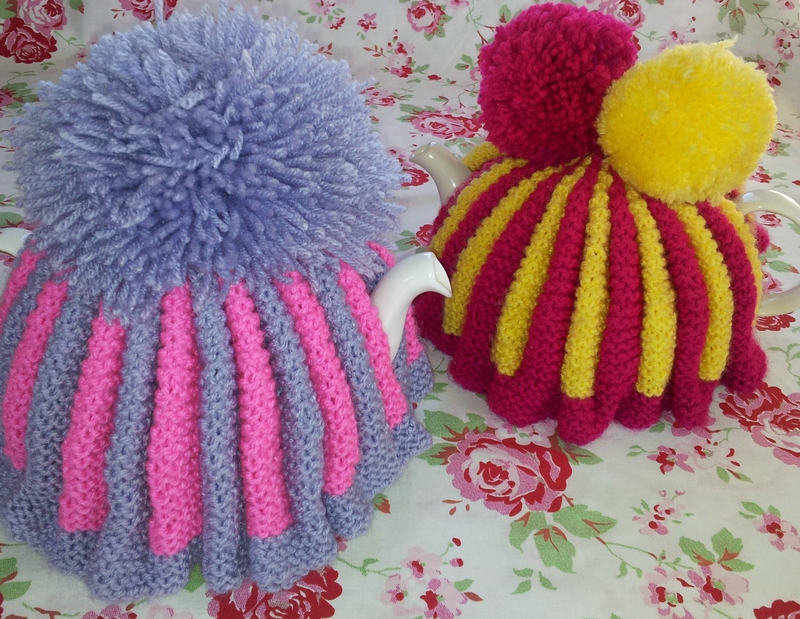 I just love the retro vibe of a knitted tea cozy and the nostalgic and dainty manner of ‘pouring your tea’. 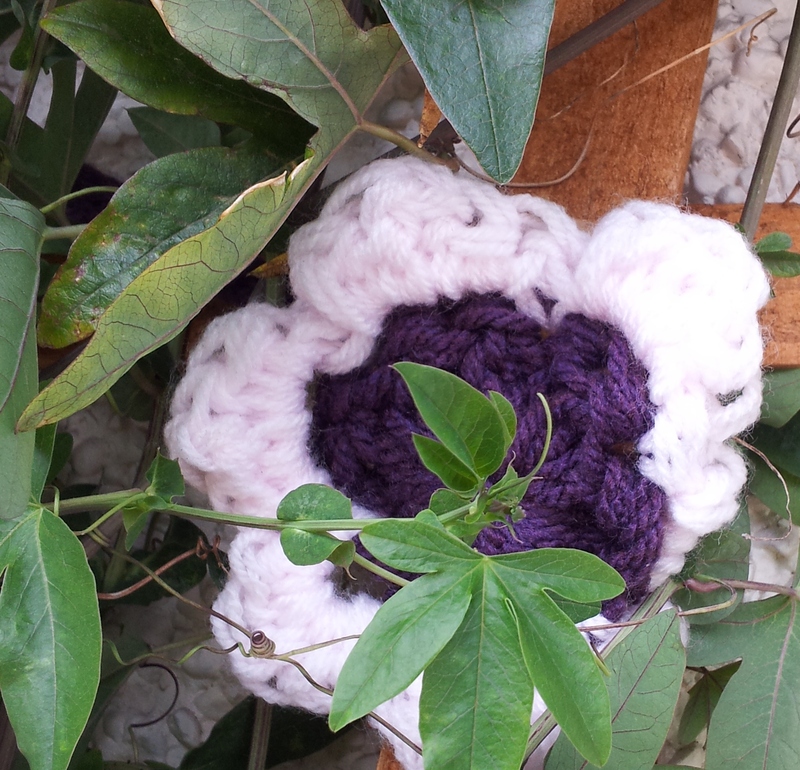 A vintage style tea cosy knit was a must! 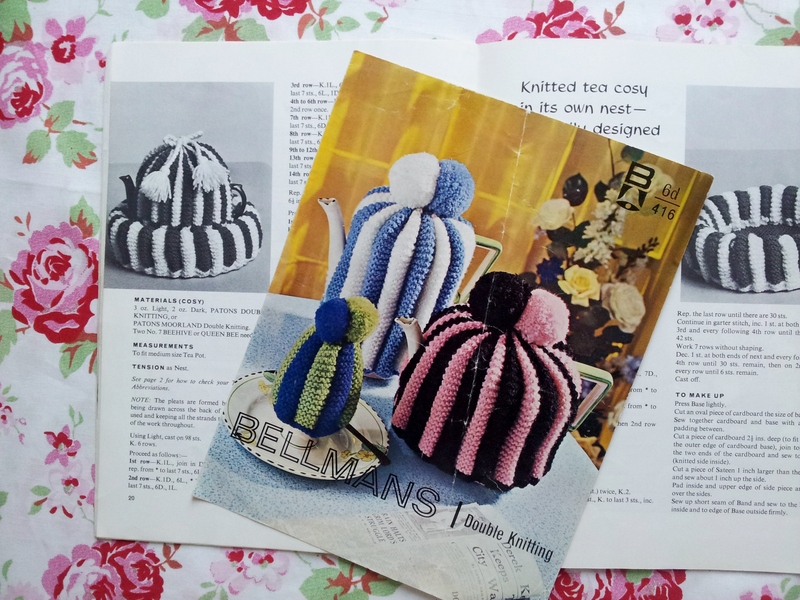 As it is my first tea cosy I thought it would be a good idea to follow a pattern and was lucky enough to come across these 1950s pleated designs published by Patons and Bellmans. Over the last few months I have come across some inspirational people, both online and in the real world. 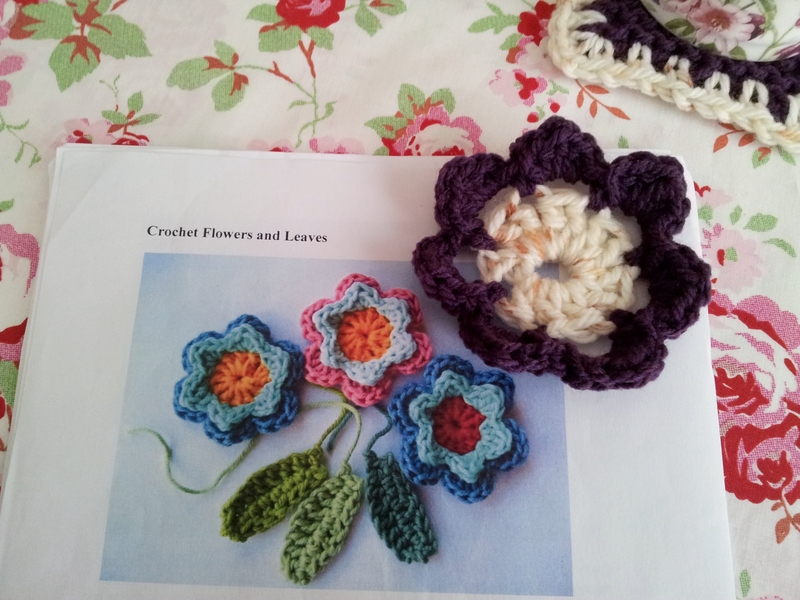 One of whom is Lucy of Attic 24 fame – her blog finally helped me to understand crochet. Thank you Lucy! 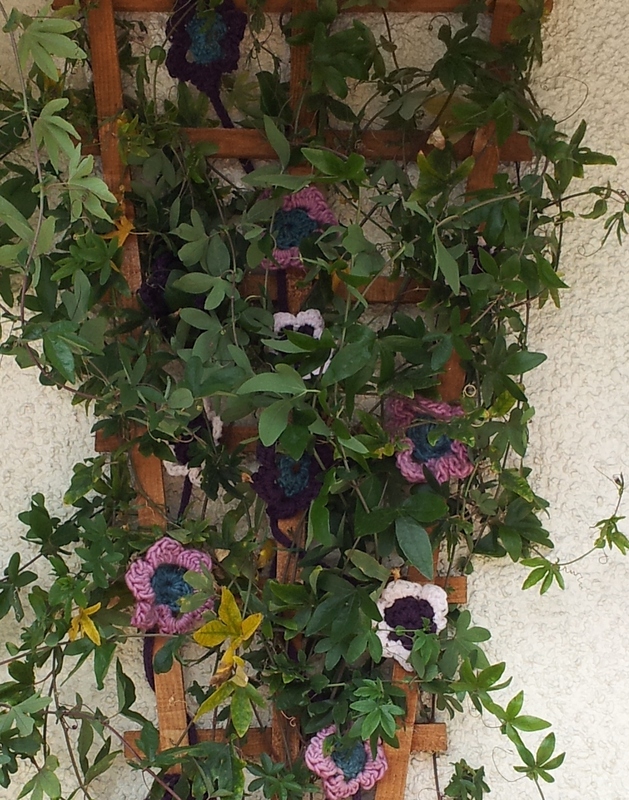 My crochet creations started with Lucy’s Crochet Flower tutorial and before I knew it I had made enough to give my garden climber all-year round flowers! 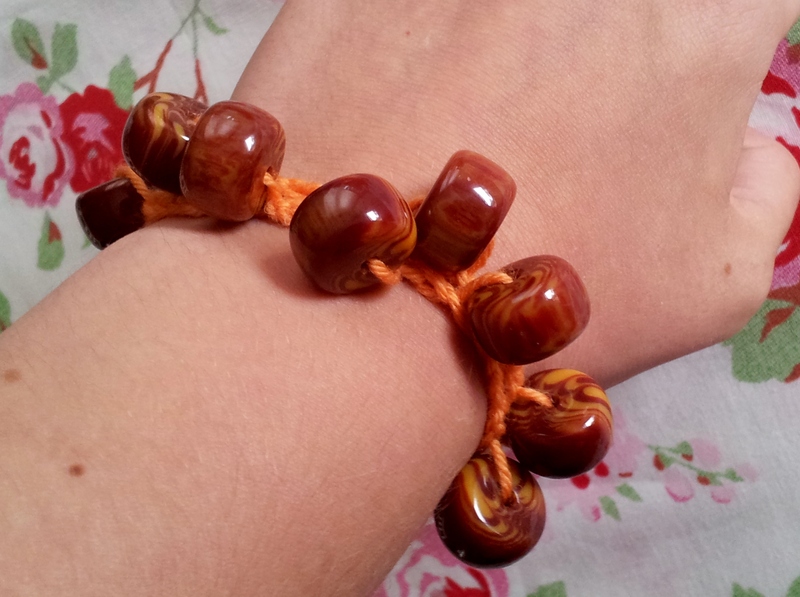 This bracelet is a great way to practice your chain stitch. 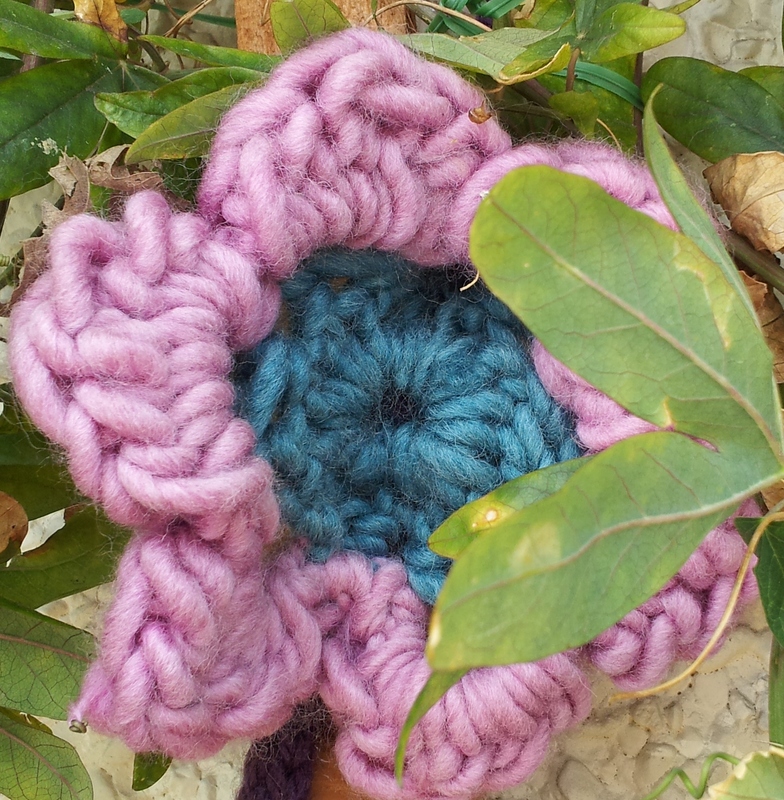 If you need a reminder it goes something like this: With your slip knot on the hook – Wrap your yarn around the hook, then draw the loop back through the stitch on your hook.